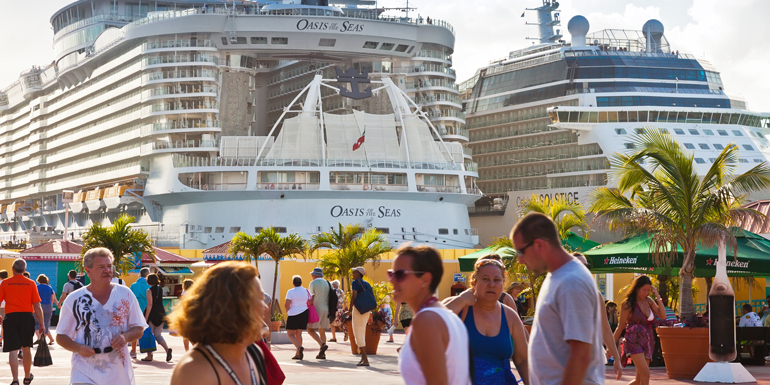 Cruising can be a fun and carefree vacation experience. But that doesn't mean some people don't find ways to get into trouble — and even kicked off cruise ships. When you sign on for a cruise, you agree in your cruise contract to a code of conduct, promising not to do anything inappropriate, discourteous, or unsafe — including sitting or standing on outside railings. Break the rules, and shipboard security personnel may confine you to your cabin, or worse, send you to the brig. 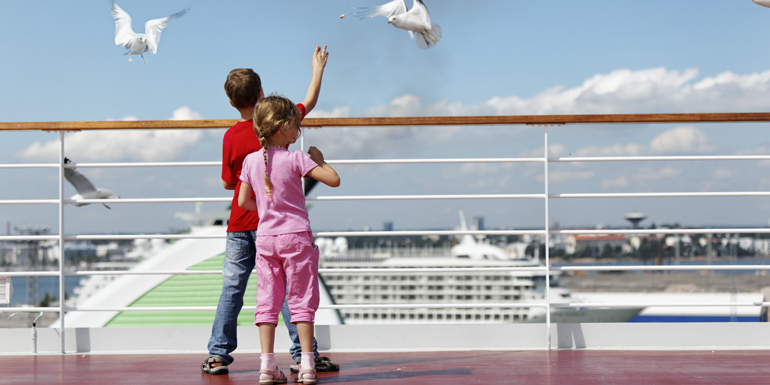 Cruise lines have the right to remove misbehaving passengers from their ships at the next port of call. If you've done something illegal, you can expect to be turned over to local law enforcement. 1. Fail to attend the safety muster. On the first day of your cruise, you will be required to participate in a muster drill. 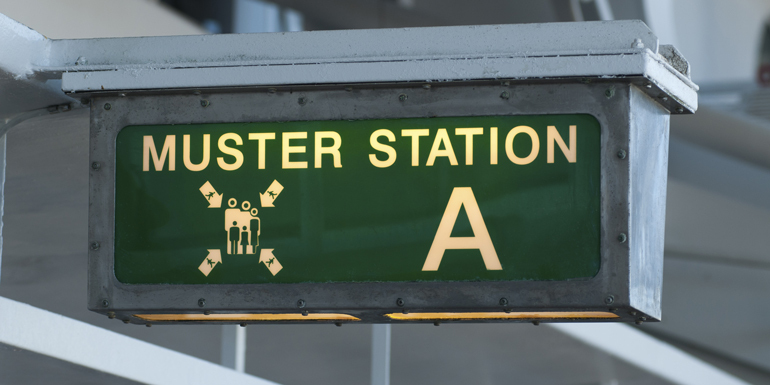 The idea is for you to go to your assigned muster station to learn what to do in case of an emergency, such as a fire or the ship sinking. The often boring routine — delivered live or via video — covers how to put on a life vest and board a life boat. Some repeat cruisers would prefer to skip the exercise — having been there, done that. However, attendance is actually mandatory under International Maritime Organization regulations, and cruise lines can dismiss you from the ship if you fail to show up. Just ask the fellow removed from Holland America Line's Westerdam at the pier in Fort Lauderdale, Florida, or the elderly couple kicked off Seabourn Cruise Line's luxurious Seabourn Sojourn in Lisbon, Portugal, for refusing to attend the drill. Both incidents occurred after the fatal Costa Cruises' Costa Concordia disaster in 2012. 2. Fight with crew members or other guests. A few years ago, an elderly New York couple got in trouble on Cunard Line's Queen Mary 2 after the wife got into a shouting match with a fellow passenger. According to an official statement from the cruise line, the 82-year-old woman "engaged in multiple incidences of disrespectful and disruptive behavior toward crew members and other guests." In deference to their ages — the husband was 91 — the captain allowed the couple, who were a few days into a 30-day, $20,000 cruise, to stay onboard for a few days until the ship returned to New York. But the husband and wife were both confined to their cabin and not allowed to have any alcohol. We've also seen fistfights between passengers, broken up by plainclothes members of the ship's security team, the perpetrators hauled off to confinement. In an incident in Australia a couple years ago, 16 passengers were disembarked from P&O Cruises' Pacific Dawn for fighting. In 2010, a California man somehow managed to release the rear anchor of Holland America Line's Ryndam while the ship sailed from Mexico to Tampa, Florida, with more than 1,000 passengers, plus crew members, onboard. Fortunately, no one was injured. The man admitted to being extremely inebriated and curious. He was fined, sentenced to a couple months in federal prison, and ordered to undergo counseling. Although that incident may be extreme, you can face consequences if you're seen chucking lit cigarettes — which pose a fire hazard — or other items off the ship. On one cruise we sailed, rowdy teenagers threw a deck chair overboard Royal Caribbean's Voyager of the Seas. They and their parents got a talking to, and all teenagers on the ship were punished with a mandatory curfew. 4. Bring a joint onboard. You may think, "Heck, this is my vacation, and I have the right to a good time." You do, but not when it comes to breaking the law — on the ship and in the ports you visit. Never mind that cannabis is legal in some states. Pot, including medical marijuana, is banned — along with more obvious illilcit drugs — from cruise ships. Under the Cruise Vessel Security and Safety Act, crew members are required to report seeing or smelling anything suspicious. Get caught with even one joint, and you'll be kicked off the ship at the next port of call — and may be turned over to local authorities. Some ports are particularly tough on those with a stash of contraband. In Bermuda, for instance, police dogs may be brought onboard the ship to sniff around, and you face a stiff fine and possible imprisonment if even a small amount of illegal drugs is found in your cabin. Even worse, if you try to bring marijuana back into the U.S. — including the ports of St. Thomas and San Juan, Puerto Rico, which fall under U.S. jurisdiction — you could be charged with drug trafficking. 5. Get left behind in port. When you head out on one of a cruise line’s shore excursions at a port of call, the cruise line guarantees the ship won't leave until you return. Not so if you go off on your own, in which case it's up to you to keep track of time and get back to the ship before the posted departure hour. The many people who wait until the last minute to head back onboard have been coined "pier runners," as in people frantically running down the pier before the gangplank is pulled up and they miss the ship. Sometimes people get stranded, particularly in ports where bars push tequila or other liquor shots. On Carnival Cruise Lines' Funville Forum, one passenger posted about a Carnival Elation sailing where 17 people had been left behind in Progreso, Mexico. These ten cruisers demonstrate why you should never return to the ship late. 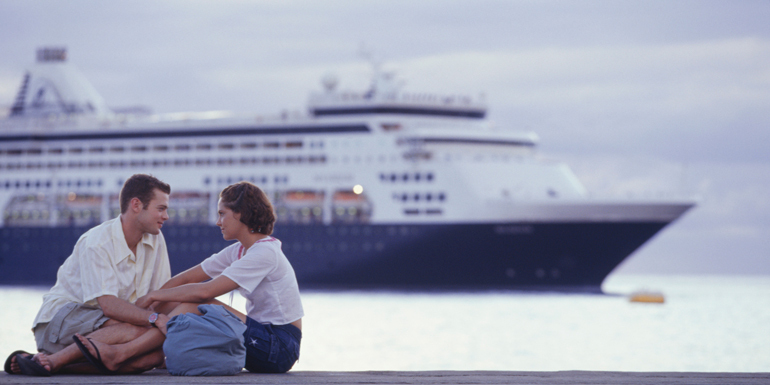 What's the dumbest thing you've ever seen a fellow passenger do on a cruise ship? LOL Fran! I almost spit up my coffee when one of your not to dos literally said don't bring a joint! While I agree (now as a smarter 33 year old traveler), I have to admit there might have been that time, way back when, that I did not follow that rule. I mean, Spring Break, Jamaica, 21 year old me?!? Of course, earlier this year when we were back in Jamaica and climbed Dunn River falls, (full review here: http://eatsleepcruise.com/shore-excursions/falmouth-jamaica/bobsled-jamaica-and-dunns-river-falls/) believe me I did NOT make that mistake again. Thanks for the sharing! #3 I was on that cruise with the rear anchor issue. They mustered all of us first thing in the morning. Had a bunch of Coast Guard and law enforcement people waiting when we hit the dock in Tampa. Unfortunately, I had to administer CPR to an elderly woman who passed out from all the excitement.